A delicate, crispy shortbread-like cookie. Cream together the sugars and butter. Then add oil, eggs, vanilla and mix again. Add flour, cream of tartar, and baking soda. Mix until combined. Using a teaspoon, drop dough on cookie sheet 2 inches apart. Pour additional sugar (plain or colored) in a small bowl. 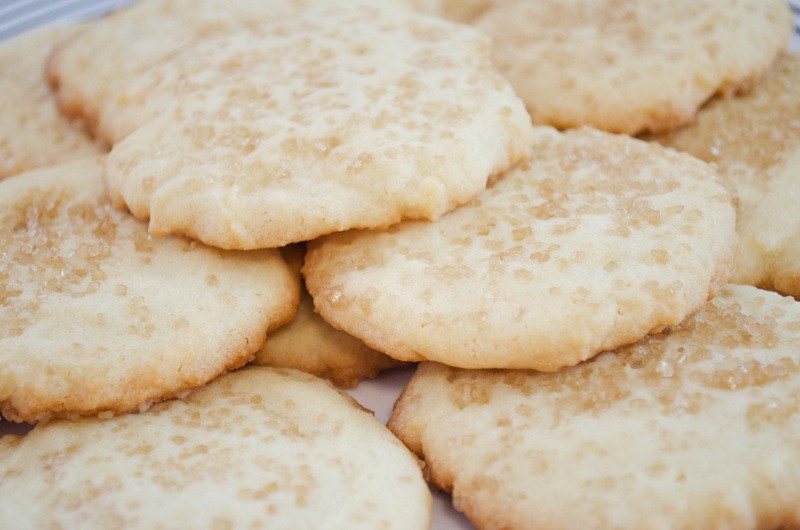 Dip the moistened bottom of a glass in sugar and gently press each dropped cookie to flatten. Makes about 6 dozen cookies. Bake 10-12 minutes at 375 degrees F. or until edges begin to turn golden.